It's always busy at this time of the year, so here's a quick report to point you in the right direction. The anchovies are getting pushed in closer and closer now, and it won't be long until the pilchards start moving in as well (usually around mid-May). 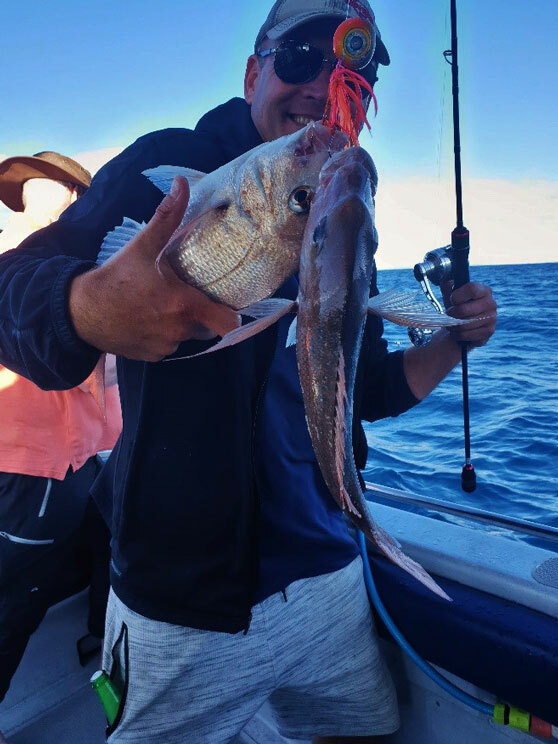 When this happens, we get mega workups in the gulf, as the now bigger anchovies and new small pilchards merge together into massive bait balls to try to protect themselves from the predators making the most of this yearly event! Are you excited yet? What is happening now out in the gulf? We have noticed that the fishing is just getting better and way more consistent as the anchovies get pushed in closer. An area that really performs really well at this time of year is the middle of the firth from the 42mtrs mark NE of gannet rock (bottom end of Waiheke) right down the firth. 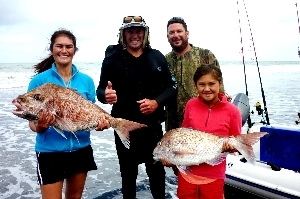 We took advantage of this area on our last charter and had consistent snapper fishing right over the slack tide (you know the fishing is good when you catch them over the slack)! 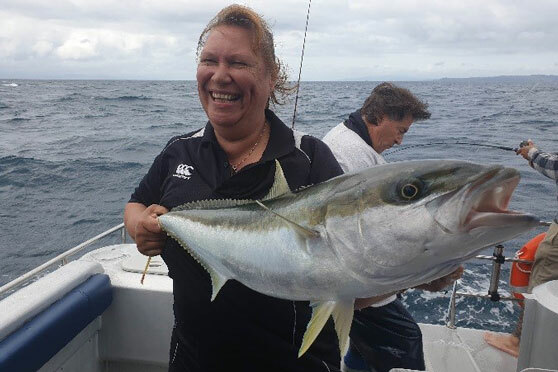 We are slow jigging mainly with kabura-style jigs and light gear that is powerful enough to catch the numerous kingfish that are frequenting these anchovy bait balls. As I have said for years now, the heavier jigs seem to out perform lighter ones when it is going off. This is because they are getting into and staying in the zone faster and for longer. We are finding 200g in orange, yellow and red mixtures are performing best. We mix the skirts up and add different colours together to see what is working best. Another area that has worked well for us over the past month is the squiggles and north of these towards Great Barrier around the broken islands. 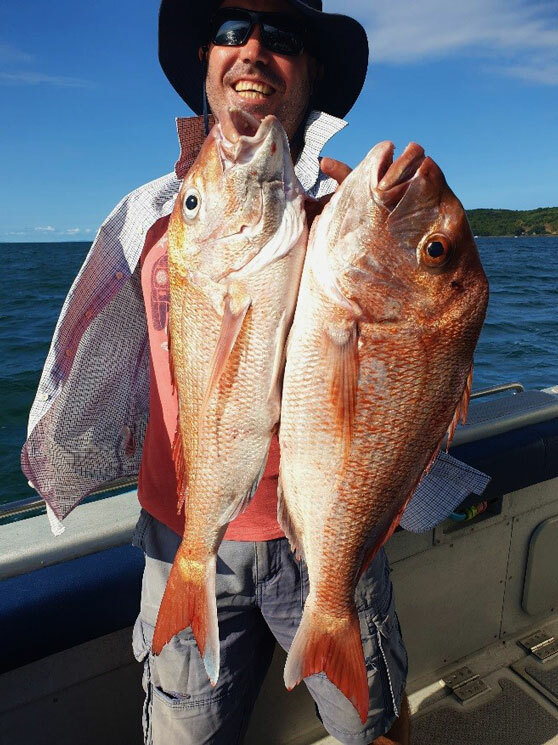 We will also be venturing out that way on our 2-3 day extended Great Barrier charters as the weather permits, but with these easterly winds, the firth is not just fishing well but is well protected when the wind gets up, making for a comfortable days fishing. I look forward to seeing you out there, or come out with me and enjoy my playground and learn a few tricks I have gained over the years!